First Impression: 2015 Beta 390RR, Behind the Scenes at Mike Laffertys Final Pro Race, Who is the Enduro G.O.A.T? Racing Red Bull Romaniacs. 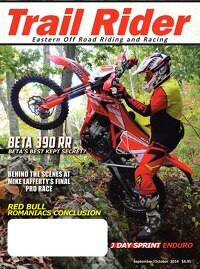 In this issue: The 2015 Beta 390RR; Beta’s best kept secret? Also, behind the scenes at Mike Laffertys final professional race. The Enduro GOAT, we weigh in on it. What’s it like to race Red Bull Romaniacs? Find out inside! mac foundation cost Cheap luxurious T2D0S 625 鈥?Duitama Alumbrado P煤blico S.A.
how to apply mac eyelashes Delightful Colors And Exquisite Workmanship Lwuw1M0Xhi - BUILDERHUNT ltd.
mac nicki minaj pink friday lipstick Less Expensive,High Quality Goods gRrAAeJ6Qw - BUILDERHUNT ltd.